I had written a few days ago about how Microsoft took customer feedback too much to heart with the Xbox One, which resulted in an E3 showing that was too focused and none too exciting. It’s only fair that I now point to where Microsoft has used customer feedback in exactly the right away. Gabe is a comic book artist at Penny Arcade. He went on Microsoft’s radar after he wrote a glowing review of the first Surface Pro; possibly the most positively influential of all the coverage given to Microsoft’s first gen device. 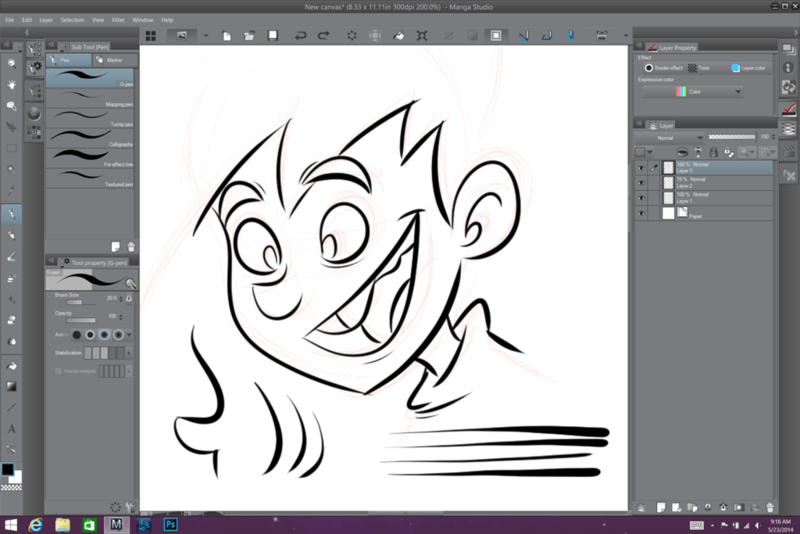 As a comic book artist, the Surface Pro’s thin-and-light tablet form factor and pen were transformative. Not surprisingly, he liked the second version even more. So the Surface team was likely looking forward to getting his reaction to the Surface Pro 3, which is a giant leap better than its predecessors. Except, Gabe had a few major problems with it and posted a less-than-glowing review. So Microsoft did the right thing and tried to learn what went wrong. Check out Gabe’s remarkable update here. Read it and mosey back. Vision — They didn’t compromise their vision of a tablet that can replace the laptop when they got negative feedback; instead, they used it to improve the execution. Deep Slicing — When it comes to product development, going deep into one person’s experience is often more illustrative than trying to understand broad market data. Microsoft didn’t sit back and wait for other artists’ feedback in case Gabe was an outlier; they observed him directly and knew they had a problem that needed fixing. Really Listening — I liked the part of the story where Gabe thought his problem was pressure level, but the Microsoft engineer identified the real problem as pressure curves. A user can know something is wrong, but sometimes she won’t be able to identify what and why. It’s our job as creators to listen carefully, think deep and then bridge the gap. Target Segment — The team probably hopes the Surface Pro 3 can be a great device for all people, but they recognize you must first appeal to those who love your product so much they would advocate it to their peers and friends. Gabe was one such person and Microsoft obviously hopes other artists will as well. Viewed from those lens, Gabe doesn’t represent one person; he represents an entire segment. Good PR — Just look at all the positive coverage this will generate. We all like people who care and are passionate about their work; the Surface team showed that in spades. Microsoft needs to do way, way more of this kind of thing. Apple and Google can come across as arrogant, so there is opportunity for Microsoft to paint itself as humble and hard working. I’m happy to write a positive story about the Redmond giant; I wonder sometimes whether I was too harsh on Panos for the Surface Pro 3 keynote.